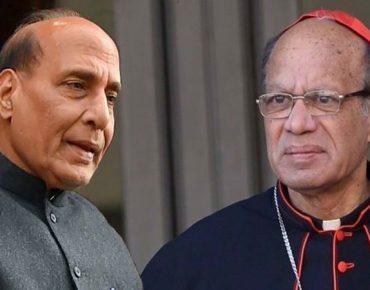 The president of the Indian bishops meets Rajnath Singh after the polemics raised by the pastoral letter of the archbishop of Delhi. The prelate criticized because he invites prayer and fasting in view of the 2019 elections. The most important movement of lay Catholics joins the initiative of Msgr. Couto and asks all bishops to follow his example. New Delhi (AsiaNews / Agencies) - Card. 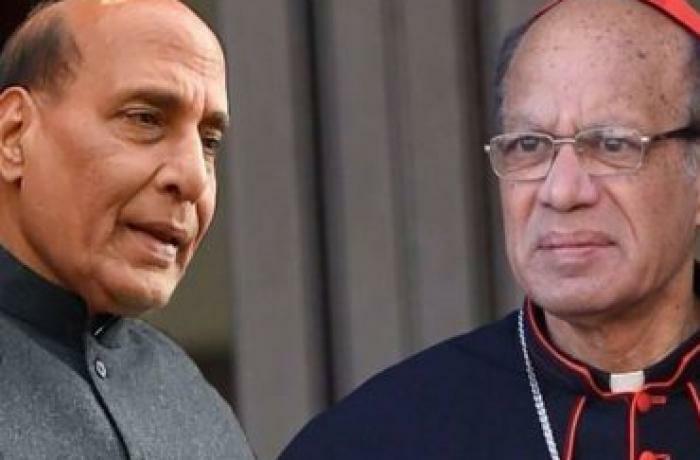 Oswald Gracias, president of the Indian Bishops' Conference (CBCI), met yesterday with Interior Minister Rajnath Singh and spoke about the growing concerns of the Christian community in India. The cardinal told the Delhi government representative that the religious minority is increasingly agitated "because the government is not doing enough" to protect it. He confirmed to AsiaNews: "Society is more polarized than before and people feel threatened". The interview was defined by the ministry as a "courtesy visit". It comes at a critical moment for the country, headed towards the general elections of 2019. One of the reasons that pushed Card. Gracias at the interview are the polemics raised by the initiative launched by the Archbishop of Delhi, Msgr. Anil JT Couto, who invited Catholics from his diocese to pray and fast ahead of the vote. With a pastoral letter dated May 8, the archbishop denounces "a turbulent political climate that poses a threat to the democratic principles contained in our Constitution and the secular fabric of our nation." His stance appears to have irritated the Hindu nationalist party Bjp (Bharatiya Janata Party), which leads the Union government and the legislative assemblies in 21 states out of a total of 29. The party defined Msgr. Couto’s letter "politically motivated" and invited him to "refrain from inciting castes and community". For his part, a few days ago, Minister Singh told reporters that there is no intolerance in India and that all minorities are safe. However the concerns of Card. Gracias seem to be confirmed by the last episode of desecration of a Christian religious symbol two days ago in the State of Goa. Meanwhile, yesterday the All India Catholic Union (AICU), the largest organization of lay Catholics in India, expressed solidarity with the initiative of the Archbishop of Delhi and praised "his courage, integrity and spiritual strength in drawing the attention to the growing tide of violence directed against Dalits and religious minorities ". In a statement, the movement claims to be "deeply concerned about the failure of the government to condemn and contain threats to freedom of worship, sustenance and expression. Our beloved land is devastated by caste violence. Dalits are beaten to death in several states of the country. Dalits and Muslims are lynched from Assam to Rajasthan for the sole suspicion of having eaten cow meat or transported herds. " Catholics report that the Delhi government itself admitted that in 2017 111 people died in 822 episodes of sectarian violence. The group emphasizes that "the suffering of the poor cannot be ignored" and asks "every bishop in India to launch similar prayer appeals for the country". "We hope - the Catholics conclude - that the religious leaders of all the communities will join these prayers".